Fine matrix free specimen of this distinctive species. Developed to the center on one side. Sharp keel still intact. This is a very rare find from Burton Bradstock. Collector's item. Jurassic, Bajocian, Lower Inferior Oolite. 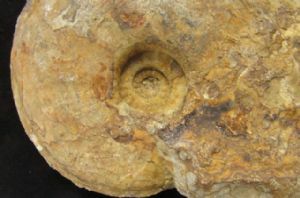 Ammonite : 16 cm. diam.